On the rules of the game, I am hesitant to speculate much. Marziano makes it clear that the gods are in a separate hierarchical order, above the suits. Marcello looks at it and it reminds him of a Tarot deck. He describes it cursorily as 16 trumps and four suits. So it seems to me that it is not controversial to imagine that it was intended to be played like basic Tarot, and that he intended Isabelle to play the two games the same. Marziano can thus be credited with the earliest known invention of a sequence of separate, permanent trumps. Of course any number of subtleties can be imagined, and some must be imagined since the outline Marziano gives is not sufficient. Did Marizano wish to attribute point values to some of the trumps, equal to the Kings like in classic Tarot? We can't say. Was Cupid's only power to be able to take a King or pip trick? Or does the text hint that he should be able according to some rule to be able to take Jove, and by implication any of the other trumps? We can't really say, although it is tempting to consider him a wild card or excuse. If he had this special power, would it be seemly for Cupid to take a Virgin? Given the moral design of the game, it seems unlikely. But even these basic speculations take us far from the evidence. There are other peculiarities that lead to necessary speculation, too. Like "is there really only a king, no other court cards?" It seems that is the case, as neither Marziano nor Marcello mention any figure besides the King. This leads us to ask "why?" and it allows us to speculate that it reflects Filippo Maria's character, and that perhaps it dates the game to securely after September 1418, when he had his wife and her purported lover executed. He presumably wanted no reminder of a "Queen". Nevertheless, in the game Robert Place designed with a little of my input, I suggested that a Queen would not be out of place. This is because he imagined his version to be what it might have looked like had it left the Visconti court and become a popular game. Of course he could have added a Knight and Valet too, but the Queen seemed sufficient. Another pressing question that the text gives no help on is what you have addressed above, namely how many "pip" cards in each suit. In my initial publication in 2004 I suggested 7, which I think is probably wrong but seemed good at the moment. I would agree with 9 or even 10, currently. In reality, we have to rely on extremely tenuous circumstantial arguments to discuss the right number of pips. Also we might consider combinations, as in combinations of trumps being worth some special number of points. Here we might bring in the "thematic" or conceptual fourfold virtue-structure. 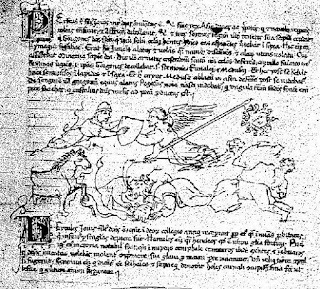 One can imagine a game where it is important to assemble three or all four of one or more of the sets of Virtues, Riches, Virginities, and Pleasures. In classic Tarot, most of the trumps are "empty" - that is, they don't count for individual points. Only three or four (in Bologna) count. The purpose of the trumps is mostly to win the court cards, which all count for points. But in Marziano's game, there are only four court cards, the Kings. That doesn't add up to much of an interesting game, if the trumps are mostly empty. So it seems worthwhile to imagine that assembling combinations of trumps also counted for points, and the easiest combinations to imagine, based on the text, are the four moral themes. What may be boring to us could have been exciting to them in an era just 50 years removed from the introduction of card games to Europe. Whist is an uncomplicated game but still has its devotees. Marziano and Marcello's brevity regarding the kings leads me to suspect they are of no importance, merely the 11th cards of their suit. They could also be the 10th card, capping the suit. Are there any point-trick games before 1500 that we know of besides tarot and perhaps trappola? Your speculation regarding combinations in Marziano's game is intriguing. I think the earliest evidence of tarot games that contains such a feature is in Viti's game. I will elaborate further in another thread but I'm much too busy this week. ADDED - just looked at Seznec, illustrations of Mercury on page 235. 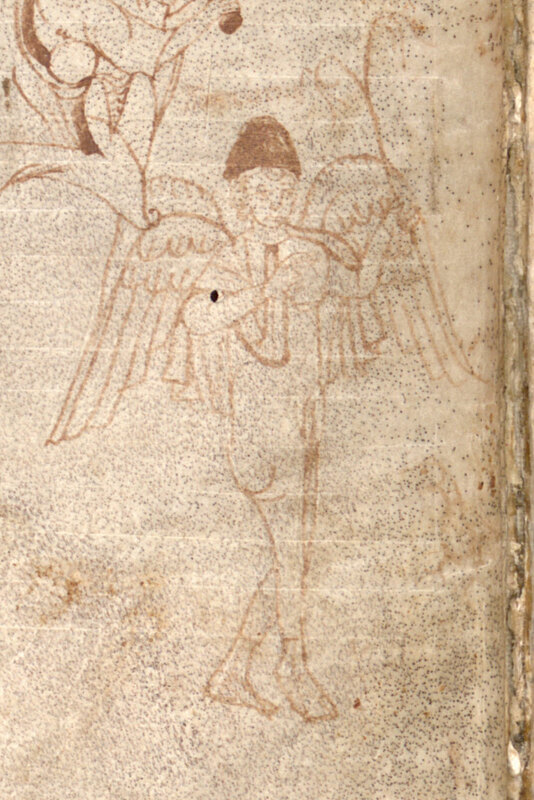 That strange cap with a forward point, and wings, seems canonical. This must be the galerus that anybody thought of when reading about Mercury. Are we on the same page (literally)? In my English version, it is on p. 198, fig. 81. That doesn't look too canonical to me. It seems to correspond to what he discusses on p. 200-201. While Marziano's game is the earliest verified game with a separate, or semi-separate (I do not think it is known that it is completely separate) trump suit, there is one more game that we know the title of, but not how it was played, namely VIII Imperatori". There were four empires discussed in relation to playing cards. John of Rheinfelden assigned one to each of the suits of the moralized 60 card game. He called them monarchies, because of course his suits only went up to kings. 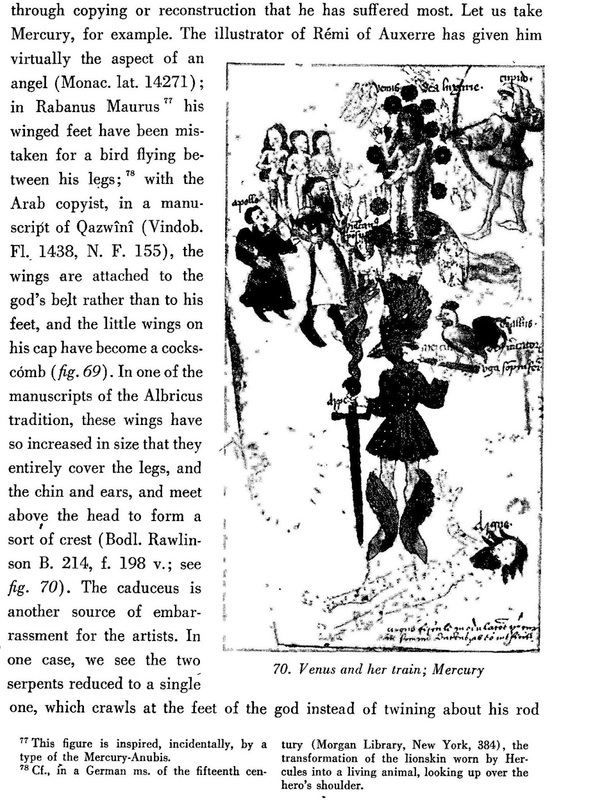 But the same empires are identified as empires with the suits in an 18th century allegorical account of Minchiate reported by Vitali, http://www.letarot.it/page.aspx?id=784, indicating a tradition over centuies. As regards the four suits, they represent, in Johannes’ opinion, four kingdoms, namely the four successive world monarchies, Babylonia, Persia, Macedon (or Greece), and the Roman Empire. As his symbol the Babylonian king has a man’s head, the Greek king has bells, and the Roman king an eagle. Johannes tells us that he does not understand the Persian king’s symbol. The eagle is the same sign used by Marziano corresponding to Virtues. Assuming bells (Swiss, German) = coins (Latin), we have the Greek empire as equivalent to riches. Just as in each column Virtues is highest, then Riches, so the Roman Empire proved superior to the Greek, just as the Greek to the Persian and the Persian to the Babylonian. If these empires now have imperatori, i.e. an Emperor and an Empress, we may well have as permanent a trump suit as in Marziano, i.e. one with 1 Roman Emperor, 2 Greek Emperor, 3 Persian Emperor, 4 Babylonian Emperor, 5 Roman Empress, 6 Greek Empress, 7 Persian Empress, 8 Babylonian Empress. They are also the top cards in their suits. Given the known structure of Marziano's game, and the fact that we see an Empress and Emperor in all the earliest tarots (counting the Catania as the earliest Florentine) such a structure for "VIII Imperatori" does not seem unlikely. (Pratesi suggested it in “Altri Commenti sui Trionfi” (“Other comments about the triumphs”), Jan. 11, 2016, at http://www.naibi.net/A/501-COMTRIO-Z.pdf) With such trumps being conceptually (but not, as far as can be determined, ludically) more attached to their suits than those of Marziano, I would think the game more primitive than Marziano's and so probably developed earlier. Because of the similarity to tarot, it is probably not a coincidence that we see references to a game of that name in Ferrara of 1450 (“Notes about Imperatori Decks in Ferrara 1423-1452,” http://trionfi.com/imperatori-cards-ferrara-1423). Marziano and Marcello's brevity regarding the kings leads me to suspect they are of no importance, merely the 11th cards of their suit. They could also be the 10th card, capping the suit. Are there any point-trick games before 1500 that we know of besides tarot and perhaps trappola? In this context it may be interesting to add a note on the worth of the cards: according to Johannes: the inferior marshall is worth 11 [points. the maid of honor 12, the superior marshall 13, the queen 14, and the king, finally, 15. The implication would seem to be that cards 1-10 are worth the number of points as their rank. It seems to me that John is probably worth more study, for hints about the rules from looking at the allegories, espeicallly those of the court cards. Most of it remains untranslated. I saw somewhere, perhaps not published in print, Jonssen has an edition of the Latin, with notes. I don't think it mentioned a translation. As far as a rule about Cupido capturing virgins, I think they are already compromised by the likes of Venus and Bacchus, who overpower some of them. Neptune was no slouch in that department either. 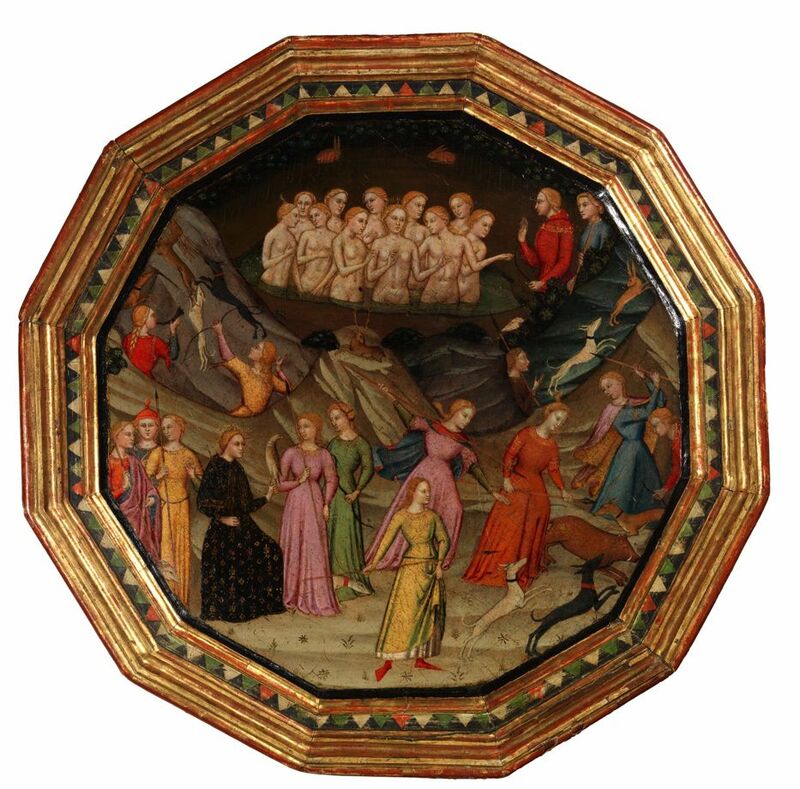 According to Pratesi (personal communication) Boccaccio was the official lecturer on Dante in Florence, and Marziano the same in the Visconti court. The theme of the four empires has its roots in the translatio imperii theory popular since the middle ages. I doubt it is a tradition within card games but rather a result of writers independently trying to interpret the suits using translatio imperii to explain decks' fourfold division and kings. That reminds me of a very garbled explanation of tarot rules: http://www.modaruniversity.org/Game7.htm. I don't imagine Johannes' game having caught on as the tediousness of calculating the score would take longer than the rest of the game. Or it could be Jönsson misinterpreting rank for points or Johannes poorly explaining it. Sorry, I'm using a French edition of 1993 (second edition). But that was the series of illustrations I was referring to. For Seznec's figure 81 (your page 198), here is the original source he refers to in note 38, p. 201. Monuments et mémoires de la Fondation Eugène Piot, tome 2, fascicule 1, 1895. Seznec refers to Fritz Saxl's argument that Cyriac of Ancona based his drawing on a relief exactly like this. Unfortunately I haven't been able to access Saxl's article in Repertorium für Kunstwissenschaft XLIII, 1922, p. 252 and following, figure 21 that Seznec refers to in note 37. 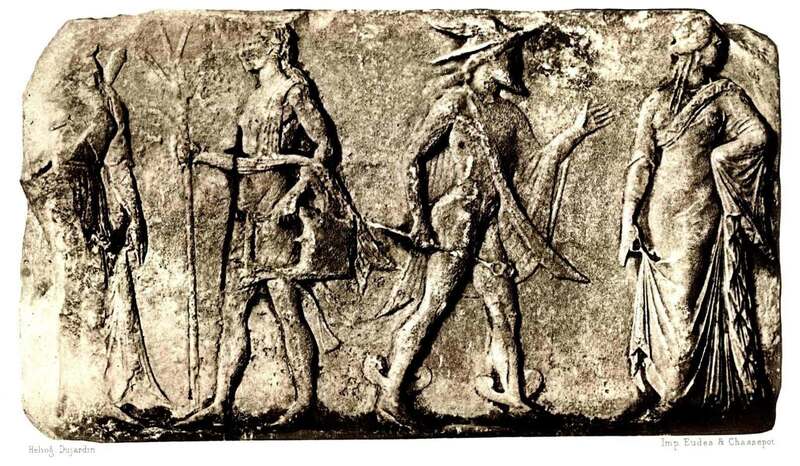 Whatever it is, the kind of hat that Hermes is wearing in the Panticapaeum relief really looks like a cardinal's galero. Cyriac's rendition, if it is based on this, is somewhat imaginative. You might be right that "skullcap" is better for our Marziano and the medieval period including Boccaccio, since this Cyriac of Ancona "canonical" form, as it appears in a host of illustrations like the E Series (Pseudo-Mantegna) came later. 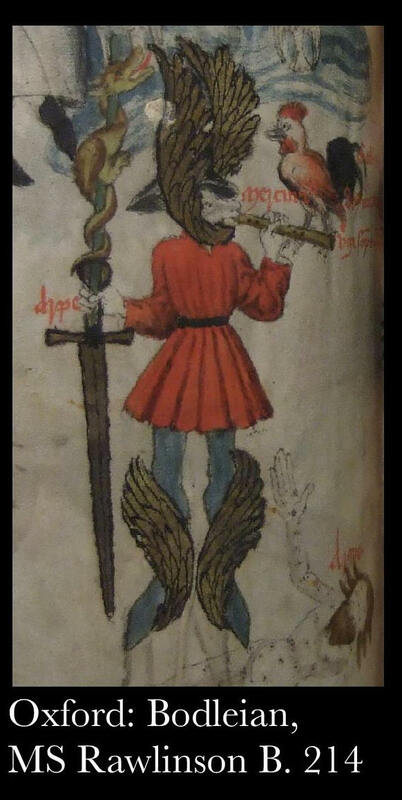 Here is an article on the Cyriac Hermes, see all of the illustrations at the end. Mercury's cap here, called a galerus in the text on the next page, really looks like a small, close-fitting skullcap. The thing about the two examples I gave is that they are the same four empires, while there were many ways of doing the translatio imperii. Usually they ended up in the writer's home country and era. See translatio imperii on Wikipedia. Of the ones listed on Wikipedia, Babylonia and Persia enter the equation only in the 17th century. Why bother with those when you've got Greece and Rome, or else, most popularly in northern Italy, Troy? (Both the Visconti and the Medici traced their ancestry back to Venus via Ascanio.) I would have expected a certain prejudice against Babylonia, from the way it is presented in the original translatio story in the book of Daniel. But it was only a suggestion. Nothing depends on their being such a tradition among card game moralizers. How could someone of Jönsson's stature as an expert on medieval Latin commit such a gross misunderstanding? See https://www.sol.lu.se/en/person/ArneJonsson. I cannot even imagine an alternative way of reading the passage. The part about points for the number cards was my speculation. Perhaps indeed it would have been too tedious, I concede that. Perhaps they counted only for the number of tricks won. Ross: good images. 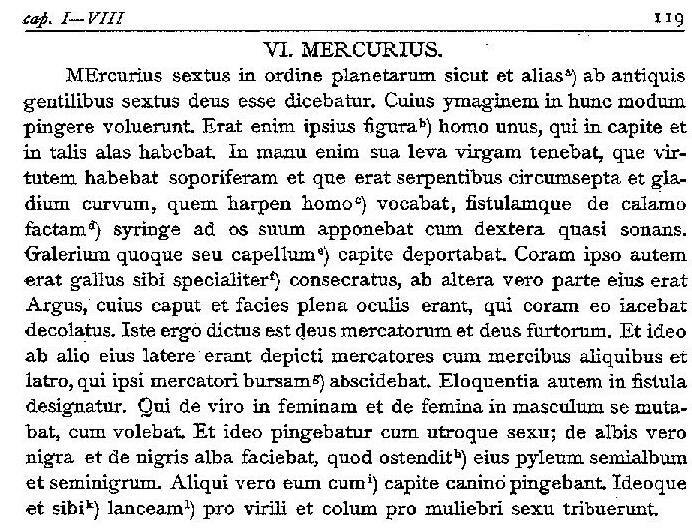 How do you know it is Mercury, in the Remigius, as opposed to Perseus, who wore a "dark helm" from Hades, and flew on "waving wings" according to Ovid? 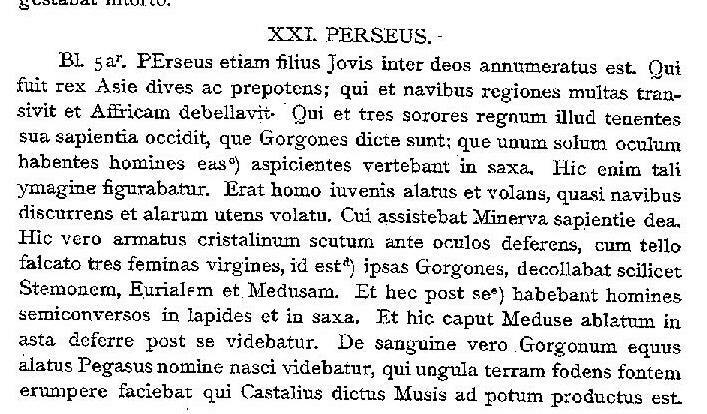 In the Libellus, one version (Reginsus Lat. 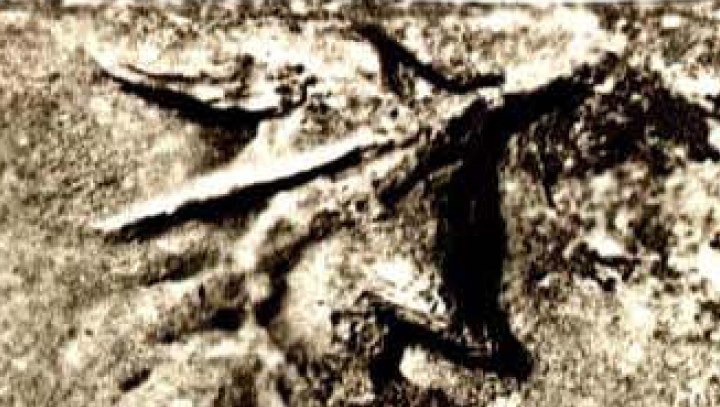 1290), Perseus is shown with wings (at least I think it is him in the center, and not Mercury himself). https://2.bp.blogspot.com/-kDaZ9GaQ-c0/ ... e-077a.jpg,, and, while I am at it, Mercury, https://4.bp.blogspot.com/-oSoUvZ7U2CY/ ... e-076a.jpg. 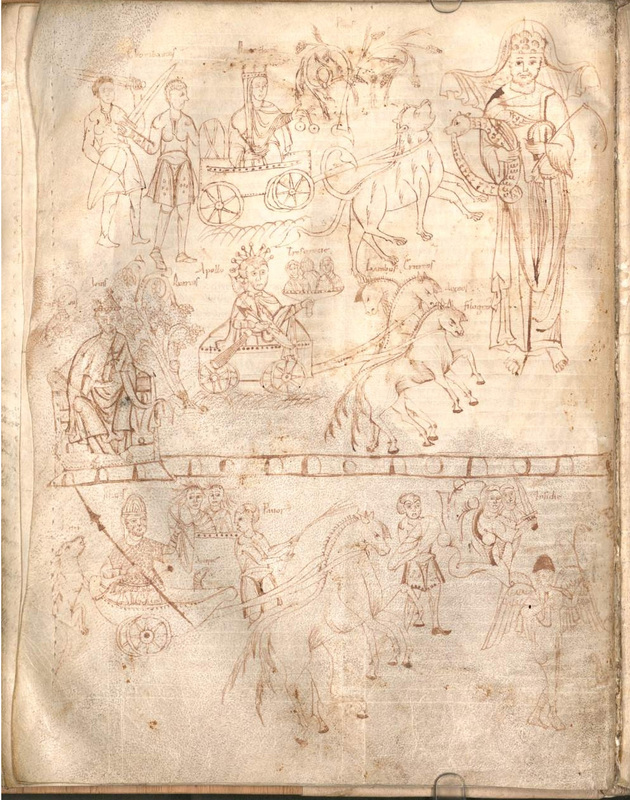 These Reginsus Libellus 1290 images are from Liebschutz. But if that is an erection I see on the person in question (your blow-up of the fig. 67 image), that is convincing enough. The main source of the imagery of the Mantegna, I thought, was the Libellus, of which one version is Seznec's fig. 70, from Bodl. Rawlinson B. 214. It has the rooster, and Argus with his eyes. It seems to me that the helmet extends on both sides of his head. This would perhaps have been accessible to Marziano, although Seznec doesn't give its provenance (https://4.bp.blogspot.com/-hP_cNCmVIOs/ ... ge-017.jpg. I posted a colored version of this somewhere, but I can't find it at the moment. 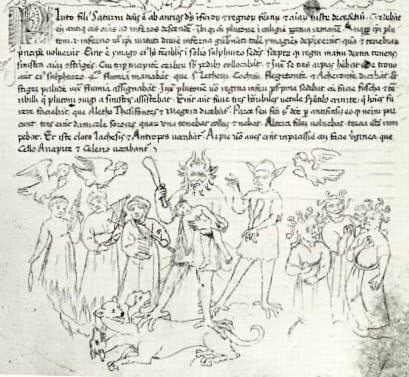 As to Ciriaco's drawing, the article you linked to in Italian seems to say 1439, which of course is way late for Marziano. I will have to study it further, to see if he might have had some earlier drawing from an earlier trip. Thanks for the link. Yes, Saxl's article would help, as the resemblance between the relief and the drawing is not great. I really think that Marziano is here inventing the very idea of a separate and permanent set of trumps. We are seeing the process by which he thought it up, starting with four moral characteristics, based on a moralization of the four suits. Then he abstracted the 4x4 gods from this, and gave them their own linear hierarchy. For what this looked like, visually, we have Marcello's testimony as well - 16 celestial princes and barons, and four suits with their kings. So it was structured like a Tarot deck, which is what he compared it to. A trump sequence, and four suits. 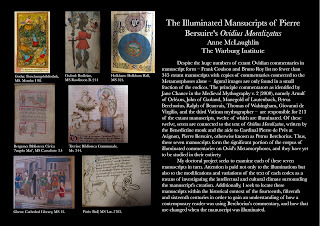 But what prompted the inventing onto the medium of cards, when otherwise the rage was manuscripts, often illuminated? The proposal that the Mamluk pack had only three court cards per suit also has implications for the history of European playing cards. There is virtually no evidence of early packs using the French or Spanish suit-signs having more than three court cards per suit. Among fifteenth century German packs, however, there are as many four court cards (King, Queen, Ober and Unter) as having only three. (Dummett, Michael, and Kamal Abu-Deeb. “Some Remarks on Mamluk Playing Cards.” Journal of the Warburg and Courtauld Institutes, vol. 36, 1973, pp. 106–128; 115). The sharing of birds for suits stands out, and the Courtly Hunt deck made in Basel (Witz workshop, c. 1440-45) has all four suits that are essentially birds (Falcons, Herons, Hawks with the fourth being Lures, which were decoys made with duck wings) as well as sharing the four court cards. Also of some interest is the Master of the Playing Cards deck (1435-40, also Upper Rhine) having five suits – not an extra tarot deck, but might suggest the idea for a unique fifth suit. 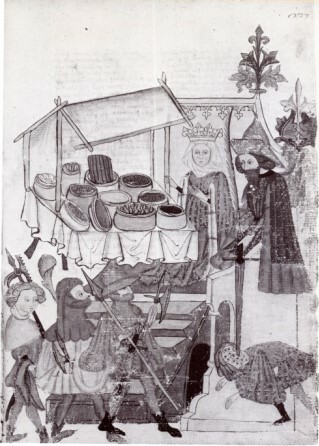 Filippo Visconti’s interactions with the Germans in the Upper Rhine was significant precisely in the years leading up to the c. 1418 Marziano creation; see for instance the strong Italian presence at the Council of Constance in this piece: Morrissey, Thomas E. “Emperor-Elect Sigismund, Cardinal Zabarella, and the Council of Constance,” The Catholic Historical Review, vol. 69, no. 3, 1983, pp. 353–370. Although Visconti would not crown Sigismund Emperor until 1433 he was making an alliance with him throughout this Council period beginning in Constance, machinating to have the council moved to his dominion. 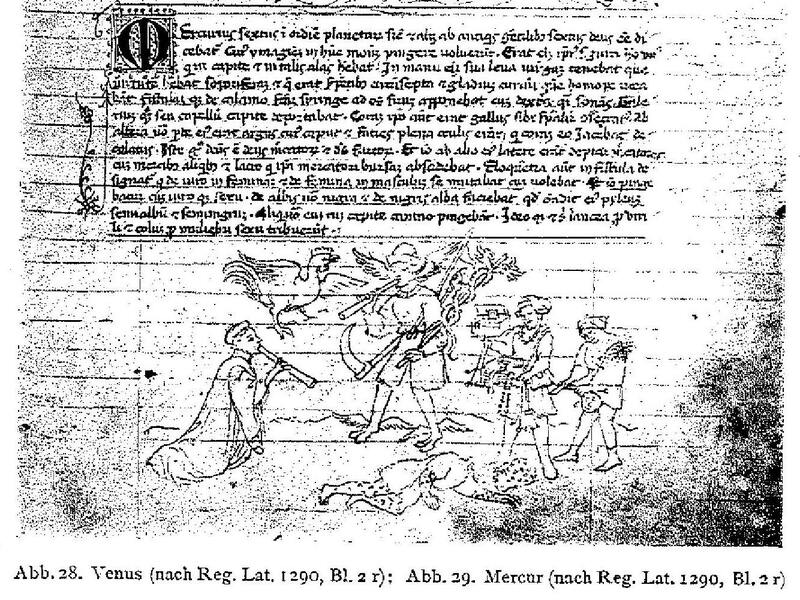 Within five years of Constance lapsing Visconti does this, getting the Council moved to Pavia in April 1423, but plague strikes the next summer and it is transferred to Siena and then Basel, a center of card production (which at this later date could of course have only influenced the design of the CY). For all of this see Joseph Gill, The Council of Florence, 1959: 41. What is fundamentally different between all of the surviving German luxury decks and Marziano/tarot in Italy, is the Germans seemed unmoved by humanism, strictly reflecting medieval courtly concerns. For instance, the 1430 Stuttgart deck has gendered the suits court cards (like the CY) – males are with falcons and ducks, while females are with hounds and stags, but no mythological associations are present. The females with stags has the latter nonsensically fawning on them like domestic pets. But how would an Italian already steeped in the early humanism of Petrarch and Boccaccio (and the continuing translations of Latin works by Bruni, etc.) have viewed these female court cards but nothing less than a bad intimation of the Actaeon myth, with these courtly women as kin to the goddess Diana (who is in the Marziano deck), with Actaeon’s dogs under their control and of course Actaeon transformed into a stag devoured by his own dogs. I think Mike’s ruminations on German VIII Imperatori decks organized into monarchies might have also lent itself to the transfer to the original Olympian court of “celestial princes and barons” – the mythological gods now gripping humanist Italy. 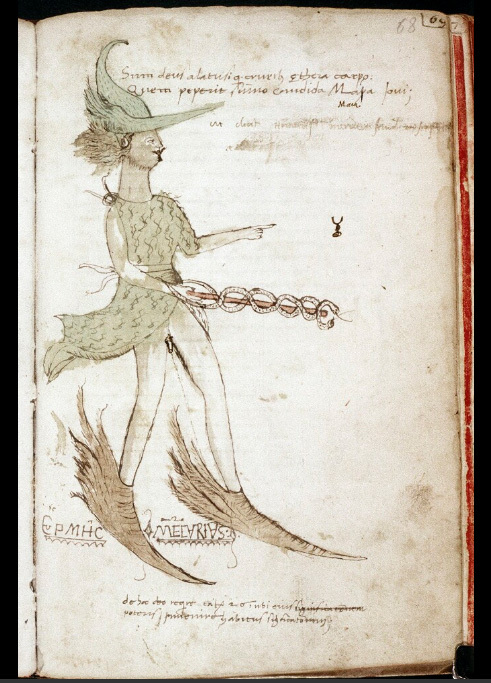 And surely the Marziano project cannot be viewed outside of Michelino Da Besozzo’s other work for Filippo, the genealogy of his family descending from Aeneas and Venus (and of course the most prominent Visconti stemma worn by Filippo was one of the bird suits, a dove). Also note the Courtly Household deck, also from the Upper Rhine, c. 1450, has four monarchies (Germany, Bohemia, Hungary and France and their royal stemma), and each shows the entire hierarchy of society in its suit (e.g., Germany has King, Master of the Household, Marshal, Chaplain, Steward, Lady-in-Waiting, Footman, Barber, Knight, messenger, Fool). By assigning the gods to suits, Marziano has similarly in some sense provided them with servants. So to sum up the theory: Being presented with German luxury decks via his envoys to Sigismund or the Council of Constance (or both), Filippo wishes to have Italy’s fashion for early classicism applied to a version of these decks. 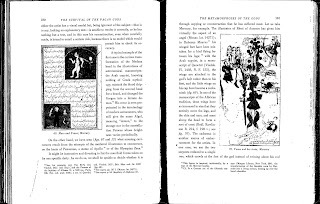 The bird suits are adopted/adapted, perhaps the notion of a fifth suit utilized, but the tradition of the assignment of court cards is too strong and so a middle-ground is found by Marziano where a ranking internal to the "Celestial" court cards is imposed on the standard assignments of the court cards to suits. Or perhaps the idea came out of thin air to Marziano or Visconti, but I propose the parallel details of bird suits, shared four court cards, and instances of a 5th suit and "monarchies" in Upper Rhine luxury decks all suggested themselves to adaptation, which in Italy would naturally be based on a classical literary model.